Please use this spa contact form to book your next Spa days corporate event. Mr. Makki is a Certified Master Reflexologist, Nationally Board Certified Reflexologist for about 15 years. He has been practicing natural health, complementary / Alternative Therapies and prevention all his life. Based in New York City. Mr. Makki welcomes you to learn, from his wisdom, with an open mind and heart and nourish the soul within. Indulge yourself with the ancient yet effective ingredients for preserving youth is at the fingertips as the force of life is here. Dedicated to improving the quality of your life, naturally, one sole at a time. Live & Feel well naturally. Get my Buzz - Pass it around! 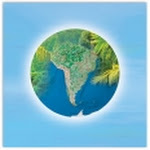 Website color in commemoration of our planet earth and healing, so keep it green! Greetings! Reflex your feet and massage your senses to better health and greater wellness [w]holistically with the finest essential healing arts by a certified master reflexologist and advanced certified licensed massage practitioner for all ages and sexes. include: hands, feet, ears reflexology, raindrop therapy technique (has been called needle-less acupuncture + vita flex therapy technique aka (tibetan form of reflexology), massage therapy and more. Young Living Therapeutic Grade "A" Essential Oils, along with Amazon Rainforest Herbs / Trivita which are certified organic, sustainable, eco-friendly, live whole foods, amazon rainforest herbs. Classes / workshops in self help with reflexology research project and related healing modalities for everybody, including health practitioners. Universal Reflexology, Massage Therapy along with other Beepampered Wholistic Healing care services can help enhance your wellbeing thus improve blood circulation, bring homeostasis to your body, relieve muscle body tension and stress and allow proper oxygen into your lungs among others. MORE benefits. keywords: abbas makki, nationally board certified reflexologist, certified master reflexologist, San Francisco advanced certified massage practitioner, essential healing, amazon herb company / trivita distributor, needle-less acupuncture, raindrop therapy technique, tibetan form of reflexology, vita flex therapy technique, wholistic practitioner, young living essential oils distributor, health and wellness specialist, integrative medicine practitioner. Incorporate a wholsitic approach to your busy lifestyle. Trust the certified master reflexologist and nationally board certified health care practitioner to take care of your health needs naturally, wholistically and sustainably. Health care professionals that offer their patients / clients complementary and alternative medicine therapies into their treatment plan as an adjunct - not as a replacement to conventional Western medicine heath care. 1- Fill out medical form. wholistic menu for services provided. 3- We will send you a confirmation once we receive your filled-out online appointment form. 4- Your schedule will be set - It's that easy! Mr. Makki has helping people from all walks of life to de-stress for a healthier and happier life by integrating therapeutic and effective wholistic skills coupled with his innately nurturing touch and sensitive caring hands to those who care about managing pain from acute & chronic ailments, including HIV, sciatica, anxiety, depression, weight reduction, to name a few, improving the quality of lives for greater health and wellness, one foot at a time since 1998, physically, emotionally, mentally, and spiritually. Feel free to email me with questions and set up an appointment at your convenience. Trust a unique and a certified master reflexologist show you how reflexology can enhance your well being and improve the quality of life naturally, wholistically, sustainably. All content and scribe is the sole property of Abbas Makki, and his related subsets. For educational purposes only and use with written permission only. All rights reserved 1998-2015.